Did I scare you? No. Okay maybe these pics for the 13 Days of Halloween will give you some frights. I was out of town this past weekend and couldn’t post up on the days I was gone so today you get four pics for the three I was out of town and the one for today. Day 7- Trash from Return of the Living Dead. Requested by a fan. 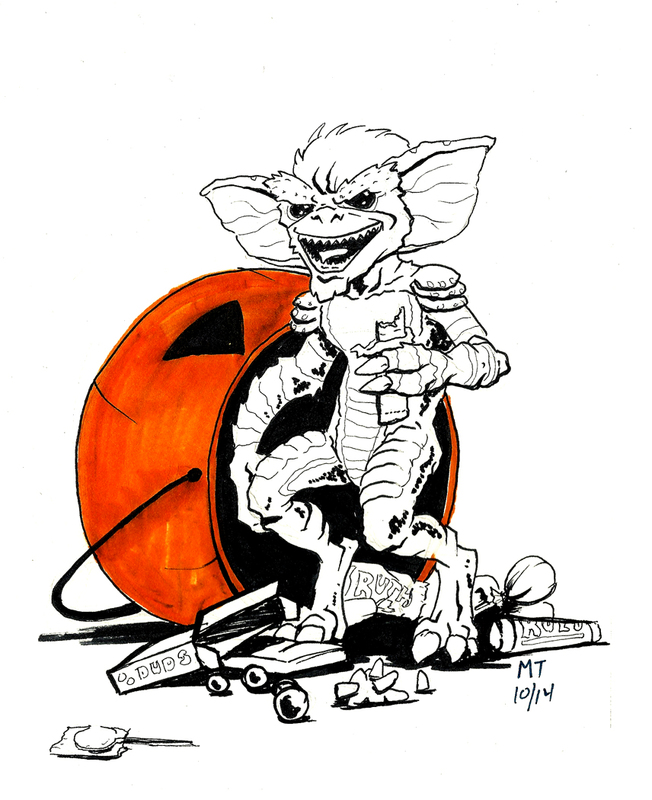 Day 8- Stripe from Gremlins. Suggested by the Future Mrs. Krayola Kidd and the Madster. 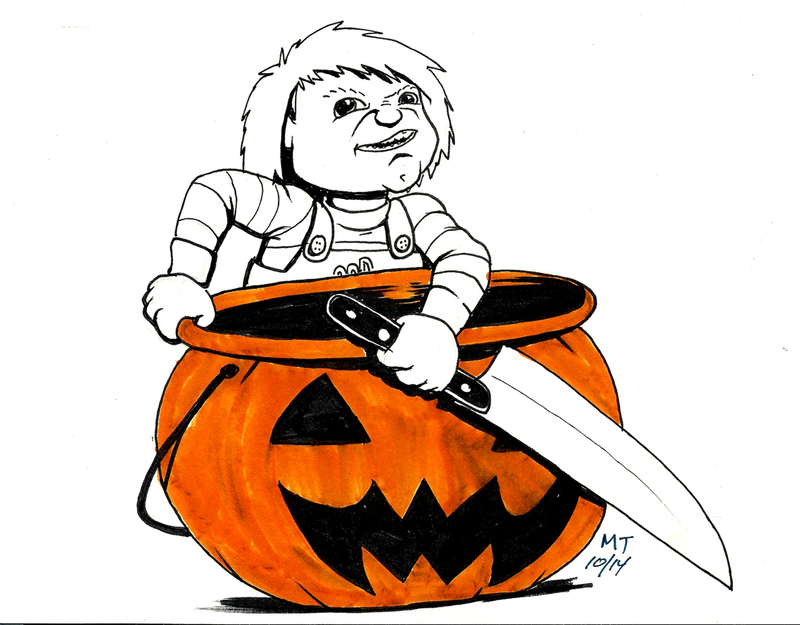 Day 9- Chucky from Child’s Play. Creator, Illustrator and Colorist. Proud Uncle of many nieces and two nephews. And I am one of the founders of Retro Cowboy Productions. 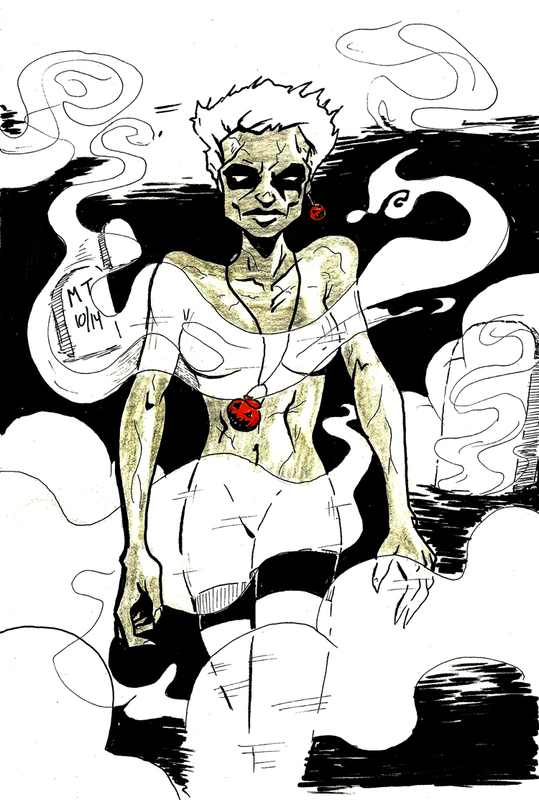 This entry was posted in 13 Days of Halloween, Halloween, Movie Monsters, Retro Sketch, The Walking Dead. Bookmark the permalink. Hey! 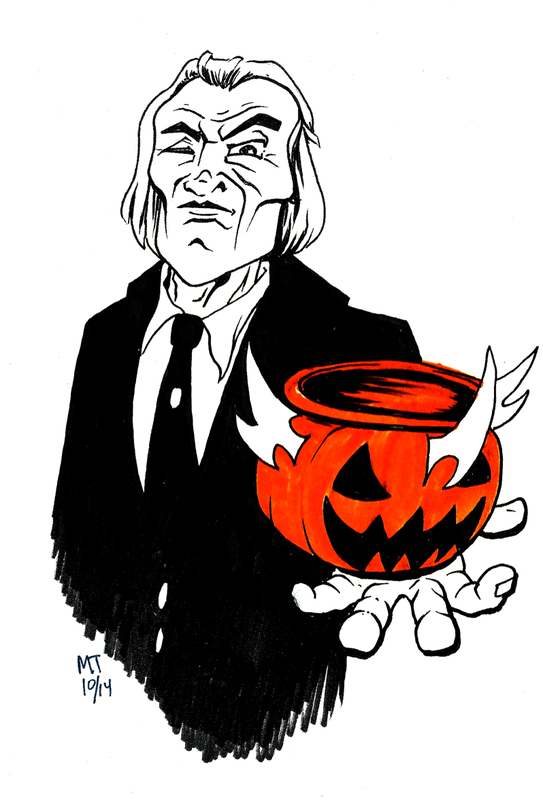 How about Conal Cochran from Halloween III and one of his wind-up men or holding a Silver Shamrock mask? And standing in front of the stolen monolith from Stonehenge? We will see. Day 10 and 11 are done. Day 13 is set, but maybe for Day 12. I have been a freelance artist since 1996. In that time I have worked for several companies,including Marvel, DC, Image and Dark Horse Comics. I have also done work for Upper Deck on their Marvel Masterpieces II and Iron Man II series. I have done card work for Cryptozoic Entertainment's The Walking Dead, DC New 52 and Batman: the Legend card sets. I am currently working on a personal project called Judges: God's Superheroes with writer/chaplain Matt Coleman through King Illustrated. To sum it all up; I am Creator, Illustrator and Colorist. Loving Husband and Father. Proud Uncle of many nieces and four nephews. And I am one of the founders of Retro Cowboy Productions. Any questions or would like to place a commission please email me here. PS- I hold the right to deny any commission requests (meaning I won't draw anything adult oriented).